TG4, BBC Gaeilge and Northern Ireland Screen’s Irish Language Broadcast Fund has announced the second season of ‘Amharc’. ‘Amharc’ was created to support the production of landmark creative films on the arts in Northern Ireland today. 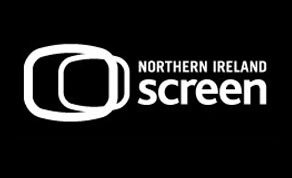 The initiative aims to provide film-makers with an opportunity to make distinctive, ambitious productions which will enrich BBC and TG4’s primetime programming schedules and which will also enjoy a cinematic release. All artistic disciplines will be considered and whilst this initiative is focused on the creation of arts in Northern Ireland, applications focusing on NI artists who are living elsewhere are also welcomed. Priority will be given to contemporary subjects, but contemporary treatments of historical works will also be considered. Emphasis will be placed on treatments and storytelling that are creative and innovative whilst also having an approach that will entice the largest audience possible. Production funding of up to £90,000 will be made available and it is expected that one project will be funded. However, it is possible that projects with a larger ambition and financial plan may be chosen if they are willing to seek funding from other sources. It is envisaged that projects will launch with a cinematic and/or a festival release before they broadcast on TG4 and BBC in early 2020. The ILBF will administer the scheme in conjunction with the broadcasters BBC and TG4 and the projects should comply with the ILBF and the broadcasters’ priorities and aims. Representatives from the ILBF, TG4 and BBC Northern Ireland will be responsible for selecting the applications. Duration: 50 – 70 minutes. Format: HD with English subtitles. Send applications to Doireann Nic Dhomhnaill by Friday 25th January 2019. A comprehensive treatment with notes on visual approach. TV and Cinema audience strategy and a specific plan for cinema distribution if applicable. A detailed production budget and a summary budget (costs relating to music copyright clearance and other material, including delivery and marketing material). C.V. for those team members who will work on the project’s artistic aspects–director, producer, writer and editor. Proof of ownership of the material that will be produced, and a copy of agreements made with writers and other parties, if necessary. Proof that the project’s main parties are in agreement in relation to the project. It is expected that the projects will be completed and ready to release at appropriate film festivals in 2020 and that they will be broadcast after this.